Whitney Houston in 2009. Her death came on the eve of music's biggest night, the Grammy Awards. The Newark, New Jersey native came from gospel roots and ended up a music icon. 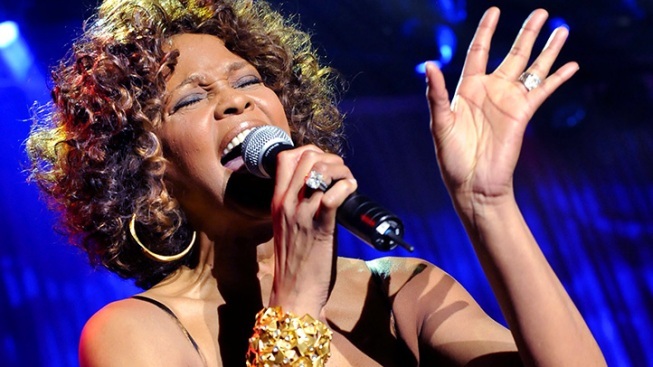 Whitney Houston, who ruled as pop music's queen until her majestic voice was ravaged by drug use, and her regal image was ruined by erratic behavior and a tumultuous marriage to singer Bobby Brown, has died. She was 48. Beverly Hills police Lt. Mark Rosen said Houston was pronounced dead at 3:55 p.m. Saturday in her room on the fourth floor of the Beverly Hilton. A Los Angeles County coroner's official said early Sunday that her body had been taken to a morgue. Rosen said police received a 911 call from hotel security about Houston at 3:43 p.m. Saturday. Paramedics who were already at the hotel because of a Grammy party were not able to resuscitate her, he said. Houston's death came on the eve of the music industry's biggest night — the Grammy Awards. 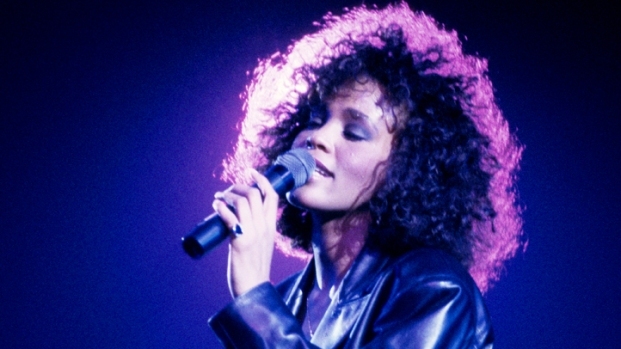 It's a showcase where she once reigned and where she will be remembered Sunday in a tribute by Jennifer Hudson, organizers said. Her longtime mentor Clive Davis went ahead with his annual concert at the same hotel where her body was found. He dedicated the evening to her and asked for a moment of silence as a photo of the singer, hands wide open, looking to the sky, appeared on the screen. Houston was supposed to appear at the gala, and Davis had told The Associated Press that she would perhaps perform: "It's her favorite night of the year ... (so) who knows by the end of the evening," he said. Two days ago, she performed at a pre-Grammy party with singer Kelly Price. Singer Kenny Lattimore hosted the event, and said Houston sang the gospel classic "Jesus Loves Me" with Price, her voice registering softly, not with the same power it had at its height. Lattimore said Houston was gregarious and in a good mood, surrounded by friends and family, including daughter Bobbi Kristina. Houston was awarded sole custody of Bobbi in 2007, after a much-publicized divorce from Brown, who spent much of the early 2000s in the throes of severe drug addiction and mental breakdown. After learning of his ex-wife's death, Brown reportedly broke down sobbing during a scheduled concert appearance in Mississippi. According to US Weekly, Brown shouted "I love you, Whitney!" and blew a kiss to the sky at the conclusion of one song. Aretha Franklin, Houston's godmother, said she was stunned by the sudden death. "I just can't talk about it now," Franklin said in a short statement. "It's so stunning and unbelievable. I couldn't believe what I was reading coming across the TV screen." "The morning of the Grammys, the world should pause and pray for the memory of a gifted songbird," Sharpton said in a statement. In a statement, Recording Academy President and CEO Neil Portnow said Houston "was one of the world's greatest pop singers of all time who leaves behind a robust musical soundtrack spanning the past three decades." At her peak, Houston was the golden girl of the music industry. From the mid-1980s to the late 1990s, she was one of the world's best-selling artists. She wowed audiences with effortless, powerful and peerless vocals rooted in the black church but made palatable to the masses with a pop sheen. But by the end of her career, Houston became a stunning cautionary tale of the toll of drug use. Her album sales plummeted and the hits stopped coming; her once serene image was shattered by a wild demeanor and bizarre public appearances. She confessed to abusing cocaine, marijuana and pills, and her previously pristine voice became raspy and hoarse, unable to hit the high notes as she had during her prime. She seemed to be born into greatness. In addition to being Franklin's goddaughter, she was the daughter of gospel singer Cissy Houston and the cousin of 1960s pop diva Dionne Warwick. Before long, the rest of the country would feel it, too. Houston made her album debut in 1985 with "Whitney Houston," which sold millions and spawned hit after hit. "Saving All My Love for You" brought her her first Grammy, for best female pop vocal. "How Will I Know," ''You Give Good Love" and "The Greatest Love of All" also became hit singles. Some saw her 1992 marriage to former New Edition member and soul crooner Bobby Brown as an attempt to respond to those critics. It seemed to be an odd union; she was seen as pop's pure princess while he had a bad-boy image and already had children of his own. (The couple had one daughter, Bobbi Kristina, born in 1993.) Over the years, he would be arrested several times, on charges including DUI and failure to pay child support. Brown was getting ready to perform at a New Edition reunion tour in Southaven, Miss., as news spread about Houston's death. The group went ahead with its performance, though Brown appeared overcome with emotion when his voice cracked at the beginning of a ballad and he left the stage. Before his departure, he told the sell-out crowd: "First of all, I want to tell you that I love you all. Second, I would like to say, I love you, Whitney. The hardest thing for me to do is to come on this stage." Brown said he decided to perform because fans had shown their loyalty to the group for more than 25 years. During an intermission, one of Houston's early hits, "You Give Good Love," played over the speakers. Fans stood up and began singing along. It would take several years for the public to see the "down and dirty" side of Houston. Her moving 1991 rendition of "The Star Spangled Banner" at the Super Bowl, amid the first Gulf War, set a new standard and once again reaffirmed her as America's sweetheart. But during these career and personal highs, Houston was using drugs. In an interview with Oprah Winfrey in 2009, she said by the time "The Preacher's Wife" was released, "(doing drugs) was an everyday thing. ... I would do my work, but after I did my work, for a whole year or two, it was every day. ... I wasn't happy by that point in time. I was losing myself." Houston would go to rehab twice before she would declare herself drug-free to Winfrey in 2009. But in the interim, there were missed concert dates, a stop at an airport due to drugs, and public meltdowns. Houston was to make her return to film in the remake of the classic movie "Sparkle." Filming on the movie, which stars former "American Idol" winner Jordin Sparks, recently wrapped.